Qualcomm is currently hosting their Uplinq conference down in San Francisco, where the keynote is happening live as I type this. 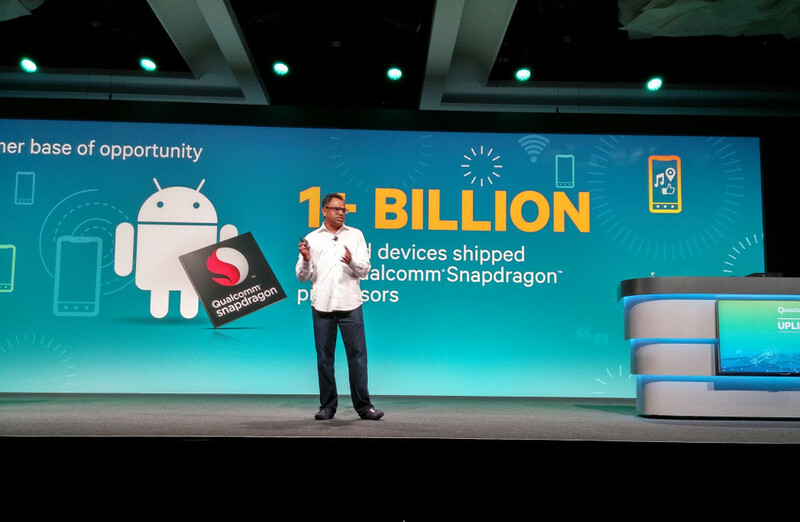 Tim is on hand during the keynote, where CEO Steve Mollenkopf just announced that over one billion Android phones have shipped running their Snapdragon chipsets. That, my friends, is a ton of phones. Years ago, when Android was just taking off, we had multiple chipset players in the game, from Texas Instruments’ and their OMAP to NVIDIA’s Tegra to Qualcomm’s Snapdragon and of course, Samsung’s Exynos (previously called Hummingbird). Now, the majority of phones all ship with Qualcomm processors and modems. Samsung still pushes its Exynos line overseas, but the rest of the players have either given up or never been able to make a big splash. Texas Instruments stepped away from phones and tablets a couple of years back, while NVIDIA was too late to the LTE game to get its processors in phones. They have done OK at times in the tablet game, and have signed on to power the new HTC Nexus 9 tablet, but their focus seems to have ultimately shifted out of the phones for now. Qualcomm remains the leader, a title they likely won’t give up any time soon. Contest: Win a Moto 360 From Droid Life (Day 4 of 5)!